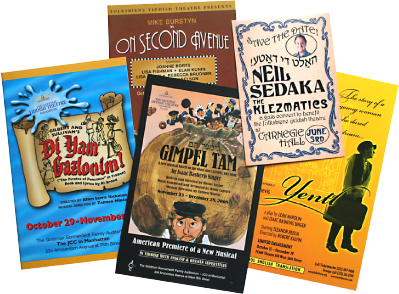 From 2001 to 2013 Media Blitz represented the longest continuously producing Yiddish theatre company in the world, helping to broaden its appeal, as well as grow and diversify its audiences. With Drama Desk nominations in 2006 and 2007 and a Drama Desk award in 2007 (for special achievement) Folksbiene is recognized for leading the charge in a unique and remarkable revival of Yiddish in many parts of the globe. Audiences have grown dramatically and a healthy combination of Jewish interest and mainstream media coverage insure that the enterprise is viewed as a significant player among non-profit New York theaters.